Lennar Corp. reported a boost in net income, revenue and new home deliveries in the first quarter, as the housing market improves, Executive Chairman Stuart Miller said during an earnings call on Wednesday. The drop in mortgage interest rates and slowed growth of home prices benefitted Lennar and the new home market overall, Miller said. While the market “paused in the back half of 2018,” it corrected itself in the first quarter and is “now on firm footing,” he added. The company’s executives said they are optimistic that the demand for new homes will continue to accelerate. 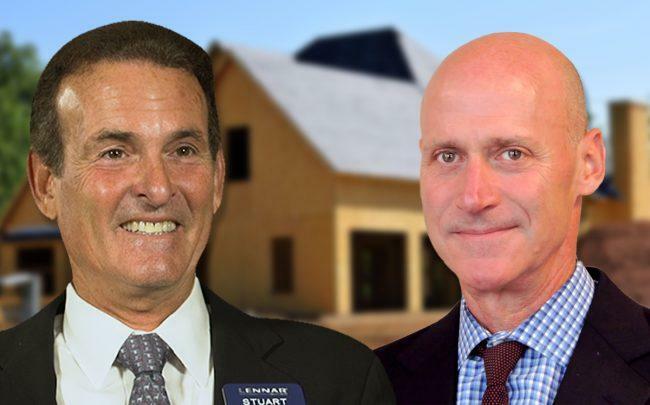 Miami-based Lennar’s first quarter earnings totaled $239.9 million, or 74 cents per share, up from earnings of $136.2 million, or 53 cents per share in the first quarter of 2018. The company delivered 8,820 homes, up 30 percent, and reported new orders of 10,463 homes, up 24 percent. Lennar said the increase in deliveries was due in part to delayed deliveries from the fourth quarter. Lennar became the biggest homebuilder in the U.S. after it acquired CalAtlantic in a deal worth $9 billion in 2017. “Of course, we benefit from the size and scale we have amassed,” Miller said. The company capitalized on an overall weaker market to buy back 1 million of its shares for about $47 million, or an average $47 per share. Lennar ended the quarter Feb. 28 with $853 million in cash, Diane Bessette, chief financial officer, said. In January, it closed on the sale of Berkshire Hathaway HomeServices Florida Realty to Warren Buffett’s HomeServices of America. Lennar picked the business up in February 2017 as part of its $643 million acquisition of WCI Communities.